India will be taking on New Zealand in the first ODI of the five-match series to be played at Napier. Virat Kohli's Team India, riding high on the success of their historic tour of Australia, will face a trickier challenge when they take on New Zealand's strongest possible line-up in a five-match One-day International (ODI) series starting at McLean Park in Napier on Wednesday. With the focus entirely on World Cup preparations, the visitors will hope to find a perfect middle-order combination despite their first-ever bilateral ODI series win on Australian soil. Mahendra Singh Dhoni might have regained his form with a hat-trick of half-centuries but it will be a completely different challenge for the Indian veteran against New Zealand's talented pace attack. With Lockie Ferguson, Trent Boult and Tim Southee available for selection, the Kiwis will be a force to reckon with in their own backyard. The touring Indian teams have won only 10 out of 35 ODI, including a 0-4 whitewash in 2014. Skipper Kohli is well aware that the Black Caps, with some quality players in their ranks, can be very competitive. "The fact they are No 3 in the world speaks about their consistency over the last couple of years. We played them in India and got beaten in Mumbai, and all the games were competitive and we felt they had a really good balance," Kohli said at the pre-series press conference. "They have that energy and that buzz about them and they play their cricket in the right way which is something we always appreciate," Kohli added. 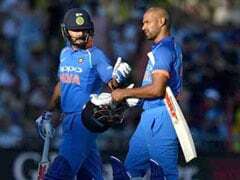 For the Indian team, some of the issues that need to be addressed are Shikhar Dhawan's form, Dhoni's batting position and how to get the balance right till all-rounder Hardik Pandya comes back from suspension. Dhawan's position at the top of the order is under no imminent threat but a highest score of 35 in the last nine games doesn't make a pretty picture. An immensely talented Shubman Gill has been selected as a reserve opener but it is unlikely that Dhawan will be dropped after a few failures. The No.4 position is another area of concern for India as Ambati Rayudu, after an inexplicable retirement from first-class cricket, looked completely out of sorts and is unlikely to regain his place in the side. Dhoni did well as a No.4 in the final ODI against Australia but Kohli is likely to use him more as a floater depending on match situations. In the bowling department, Bhuvneshwar Kumar and Mohammed Shami will expect a bit more support in case the skipper plays a young third seamer in either Mohammed Siraj or Khaleel Ahmed. 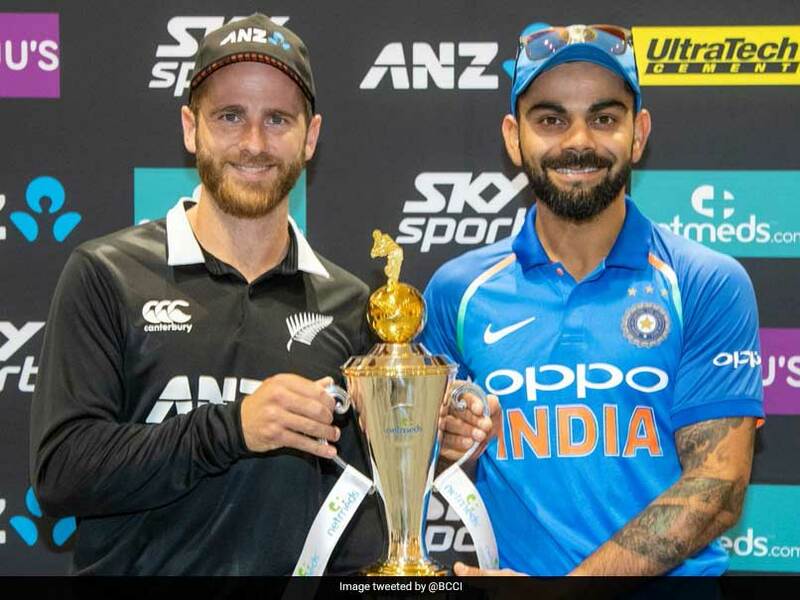 The New Zealand top-order looks formidable with one of the world's best batsmen in skipper Kane Williamson and the ever-dangerous Ross Taylor, who is second only to Kohli in terms of batting averages (92) in 2018. "We saw in the last series (vs Sri Lanka) we want to execute a few things better, certainly in the field we want to step up and get back to our old ways which is that real attitude in the park," Williamson said. 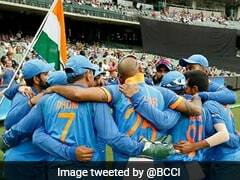 India: Virat Kohli (capt), Rohit Sharma, Shikhar Dhawan, Mahendra Singh Dhoni (wk), Kedar Jadhav, Dinesh Karthik, Vijay Shankar, Shubman Gill, Yuzvendra Chahal, Kuldeep Yadav, Mohammed Shami, Bhuvneshwar Kumar, Mohammed Siraj, Khaleel Ahmed, Ravindra Jadeja.